The Latina Golfers Association believes that the lives of inner-city girls can be enhanced and even transformed through golf. For this reason, we are supportive of the non-profit, Latina Links. We believe that through golf, girls can find the fairway to a higher education! For inner-city girls, Golf is more than a lifestyle…Golf is a lifeline! Golf provides entree and opens doors for girls to people, places, and a world they might not have had access to in their lives. The LGA provides educational programs for girls from economically challenged communities that build confidence, self-esteem, character and promote a healthy lifestyle for the enhancement of their educational opportunities and to prevent juvenile delinquency. The Latina Golfers Association takes golf to where girls congregate in the summer – the park! The LGA created the Golf In The Park Program to teach girls the basic fundamentals of golf in a language they understand utilizing the cultural sensitivity needed to be relevant in their lives. The LGA partners with The First Tee of Los Angeles to provide the girls with scholarships and reduced fees to continue their golf education. 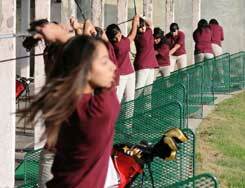 The Latina Golfers Association adopted the Roosevelt High School Girl’s Golf Team in East Los Angeles in 2010. The LGA raises funds for the team and provides them golf clubs, golf clothes, shoes and incidentals they need to play golf. An important component of the program is to impart golf experiences with the girls not available to them at home. The LGA members play golf with the girls on a regular basis and treat them to a day of fun and mentorship. The Latina Golfers Association takes pride in its Golf Mentorship Program. Our members have professional careers in corporate America, as entrepreneurs and beyond. They provide unique golf experiences for inner-city girls and mentor them by being role models to them. The girls become inspired after spending quality time with our mentors on the golf course. Most of are mentors were raised in similar circumstances as the students and have gone on to become successful professionals. 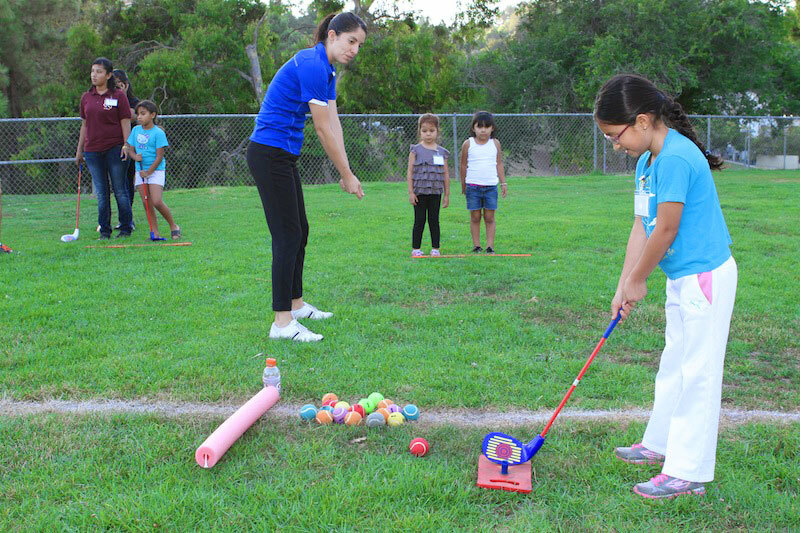 The Latina Golfers Association invites mothers, grandmothers, and aunts to participate in golf clinics with their daughters and family members. We partner with The First Tee of Los Angeles to create these clinics and to provide scholarships and reduced fees for the girls to continue their golf education.